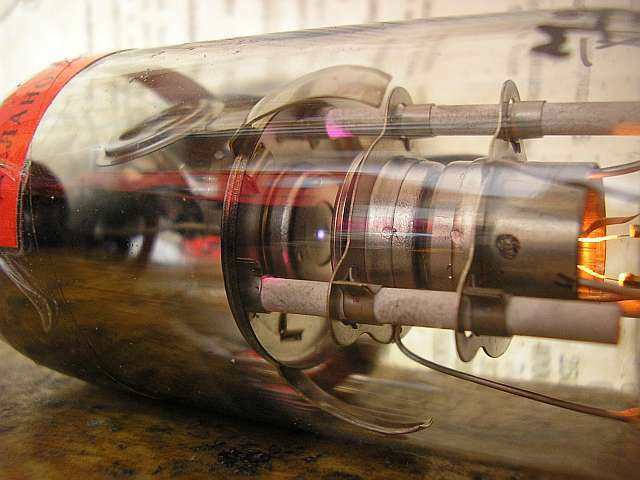 I found a large number of 6VS-1 tubes (Russian 6BC-1), which is a beam tetrode (or triode, not counting accelerating electrode as a grid), which is used to stabilize the high voltage. 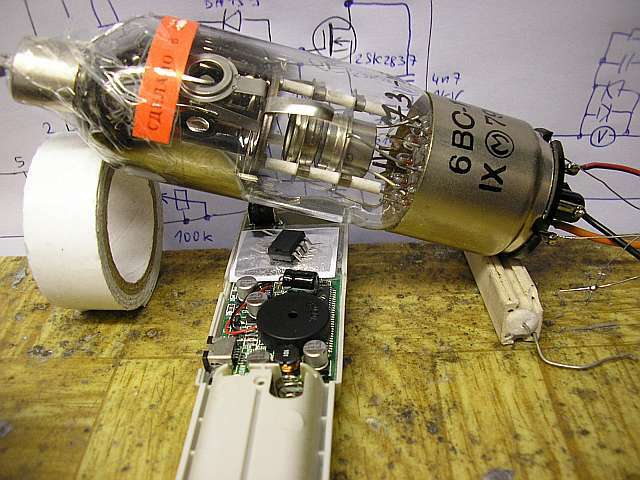 The tube is beam, the system recalls the system in the CRT tube, but there's no hole in the anode. I found that this tube is very well suited as a source of X-ray radiation. 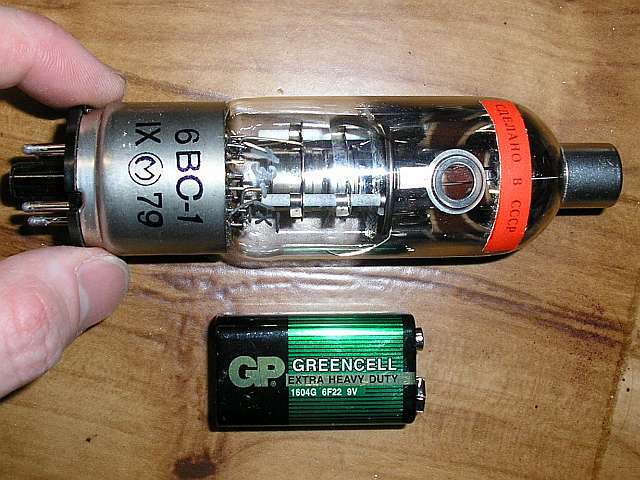 Often used tube DY87 can't compete with it. Beam point on the anode is very thin (a fraction of a millimeter), so the X-rays are emitted from a very small area and allow good sharpness even if the sensor is very close to the tube. 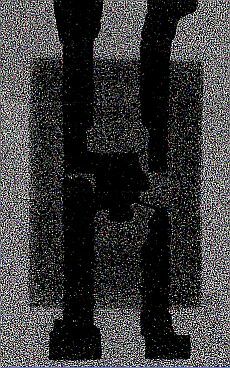 The connection of this "x-ray" tube is shown on a schematic below. 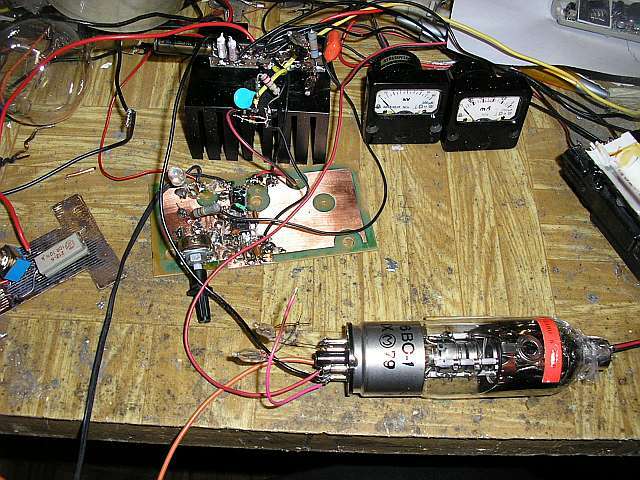 I set the anode supply to 40kV and the current to 500uA (which is a pure power 20W). The tube has a heating voltage 6.3 V, and the current is 0.6 A. Preheating is necessary at least 40 seconds before turning the high voltage. When x-raying, i leave the heater permanently connected, I just turn on and off the high voltage source. 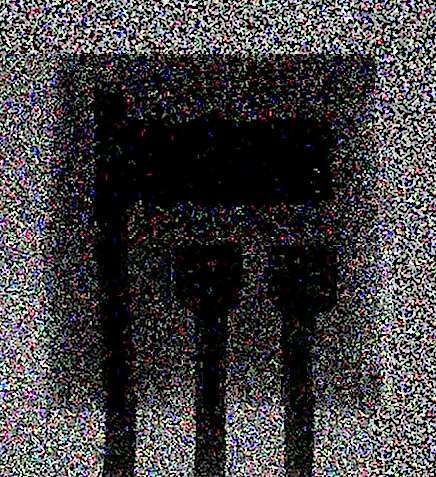 Digital camera produce dots in picture when exposed to x-ray, but when the radiation is strong enough, it produces almost continuous white grainy surface. 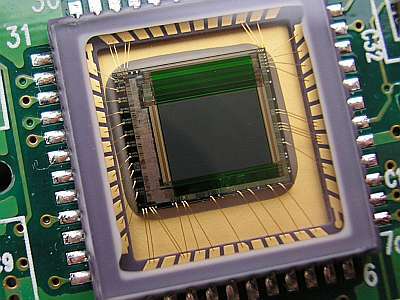 After seeing such pictures, I thought to use CCD directly as a X-ray sensor. 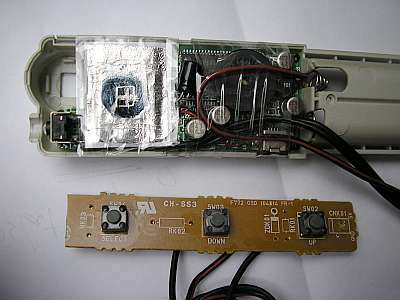 I removed the optics from an old camera, Covered the CCD with aluminium foil (shielding and protection from visible light). 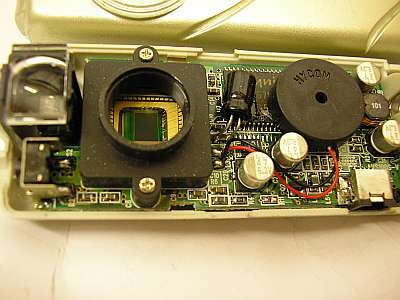 Modded such way, the camera can take X-rays of very small objects, those that fit the area of CCD element of about 4 x 5 mm. A little larger objects can assemble X-ray image from multiple images. Dots on the pictures seems to appear above the voltage of 17kV. 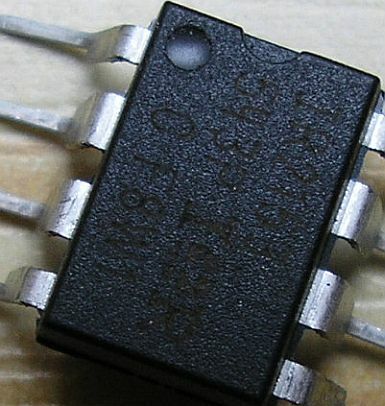 For making pictures of semiconductors is the best voltage 30 - 40kV and current of 200 - 500uA. Attention! If the dots don't appear, it is not a guarantee that there is no radiation! This site doesn't serve as a guide! it is just a curiosity, not intended for reproduction. For this reason, I don't describe all safety precautions here. X-ray radiation is very dangerous ionizing radiation. Passes more or less through all materials, it cannot be completely shield. Exposure can cause cancer, leukemia, radiation sickness, tumours and other fatal diseases and infertility or mutation of offspring. 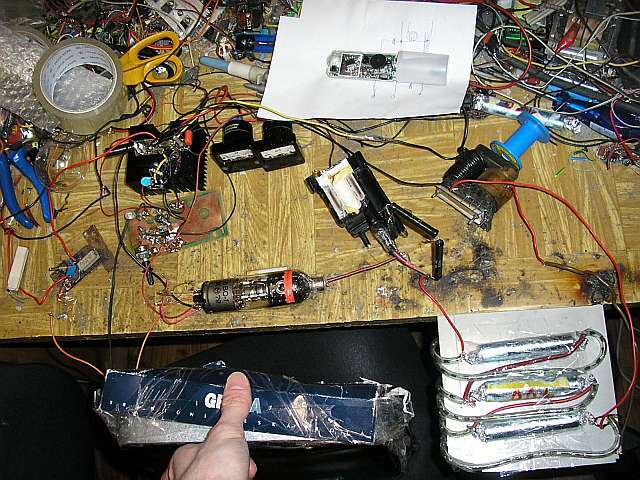 The device operates with a very high voltage. Do not try this in any case ! If you, despite warnings, decided to implement it, I do not take any responsibility for your damage - everything you do at your own risk. 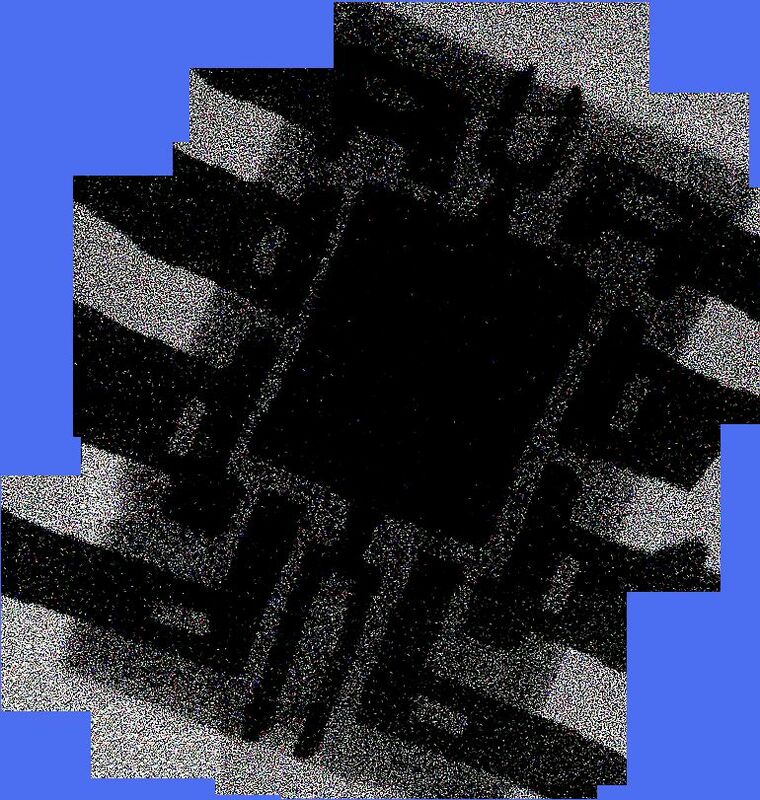 X-ray picture of a circuit IR2153 (similar package as 555). It consists of about 14 shots. 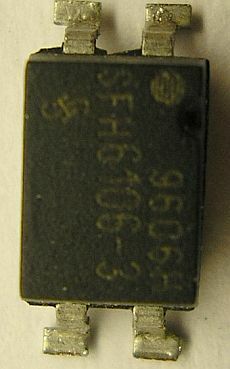 Darkest parts are the pins and the chip. Medium-dark is the plastic case. The brightest areas are where the beam didn't pass through anything (except glass lamps, air, aluminum foil, paper and glass CCD :-)) Click to enlarge. 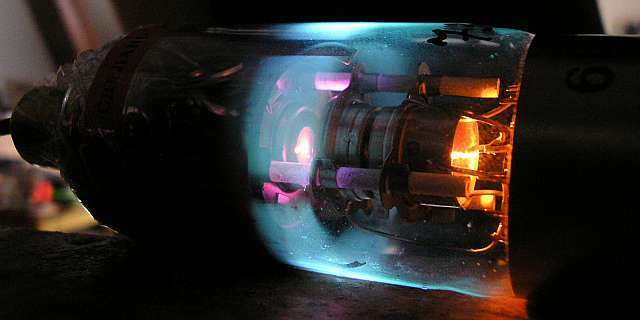 Here you can see a beam of electrons hitting the anode as the purple point. 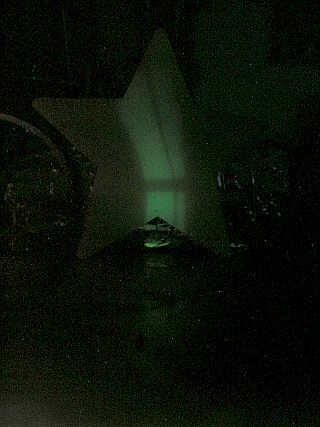 X-ray radiation causes a fluorescence phosphorescent objects such as plastic star. The entire setup. 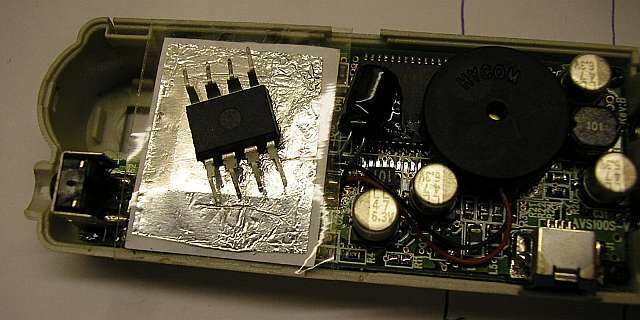 Transformer from a color TV, homemade multiplier and ruins of a IHVT working only as a resistor. Camera with a remote control added.